Beginning on December 24, 1861, it rained for almost four weeks. 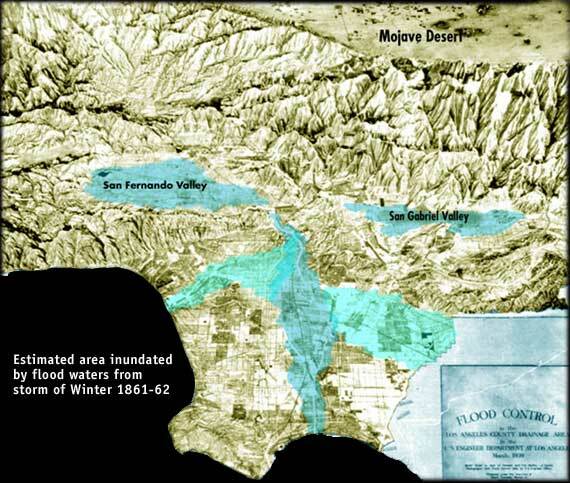 Created an inland sea in Orange County, lasting about three weeks with water standing four feet deep up to four miles from the river. averaging 20 miles in breadth. 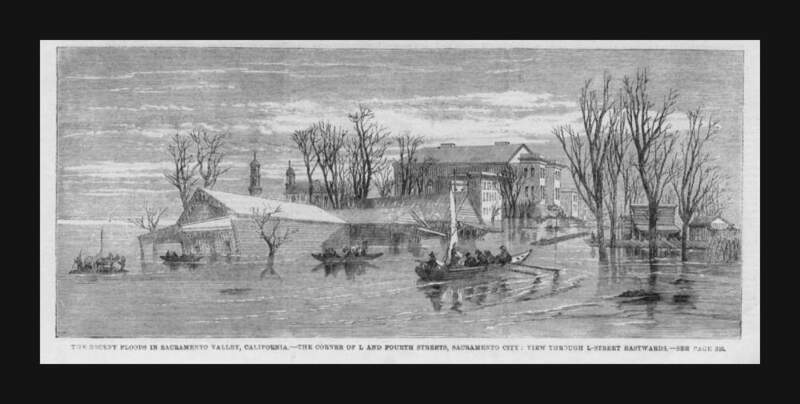 The worst flood since Sacramento's founding prompts residents to raise the downtown area up to fifteen feet between 1862-1869. The tunnels under present-day Sacramento are remainders of the original downtown buildings and streets. 1860-1870 China Cold, dry interval Ý Feng et al. 1852-1932 China Relatively dry period Tree ring records Feng et al. 1830-1840 China Cold, wet period Ý Feng et al. 1820 China Warm interval ends Drier, fewer floods, more freezes Feng et al.